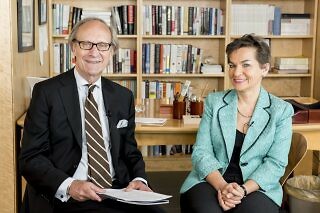 United Nations secretary-general candidate Christiana Figueres discusses her bid with International Peace Institute Senior Adviser Warren Hoge. 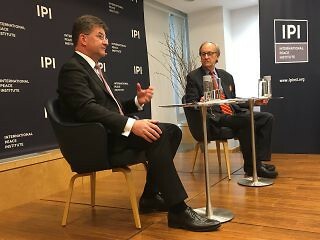 United Nations secretary-general candidate Miroslav Lajčák discusses his bid with International Peace Institute Senior Adviser Warren Hoge. 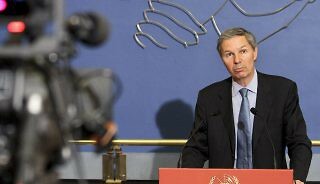 United Nations secretary-general candidate Igor Lukšić discusses his bid with International Peace Institute Senior Adviser Warren Hoge. 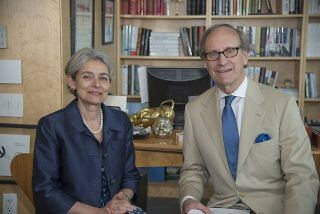 United Nations secretary-general candidate Irina Bokova discusses her bid with International Peace Institute Senior Adviser Warren Hoge. 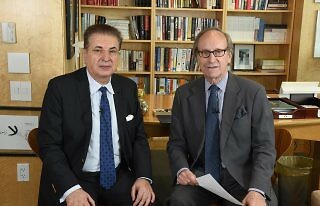 United Nations secretary-general candidate Srgjan Kerim discusses his bid with International Peace Institute Senior Adviser Warren Hoge. 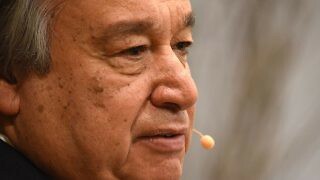 United Nations secretary-general candidate António Guterres discusses his bid with International Peace Institute Senior Adviser Warren Hoge. United Nations secretary-general candidate Vuk Jeremić discusses his bid with International Peace Institute Senior Adviser Warren Hoge. United Nations secretary-general candidate Natalia Gherman discusses her bid with International Peace Institute Senior Adviser Warren Hoge. 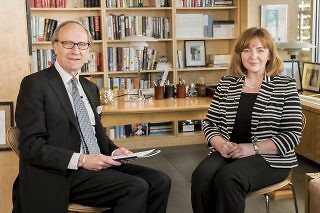 United Nations secretary-general candidate Vesna Pusic discusses her bid with International Peace Institute Senior Adviser Warren Hoge.